There are several parameters by which the richest companies in the world are ranked. These include market cap, revenue, profits, and brand value. For instance, StatistaDOTcom lists the top 10 largest companies in the world by market value. The list includes leading companies that have made it big in the stock market in recent times such as Facebook, Amazon, and Alphabet. The topper is Apple whose market cap is a whopping $913.17 billion in March 2018. Walmart has added e-commerce business to its thriving physical hypermarkets to top our list as the world’s richest company in terms of revenue. Its sheer size and deep pockets enable it to cut prices to attract more customers and take away market share from its main rivals Amazon and Target. Walmart operates e-commerce sites in 11 nations and 11,000 brick-and-mortar stores in 28 nations. Its headquarters is in Bentonville, Arkansas and the enterprise was founded in 1945. State Grid owns a monopoly in China which has made it the world’s biggest electric utility enterprise. It constructs and operates power grids, and manages 24 electric power firms and five regional power grid enterprises. Notably, this company recently ran a trial in which it managed the Qinghai province entirely on renewable energy. Sinopec Group is involved in multiple energy-related sectors such as oil, coal, steam, and electricity. This growing company recently secured an EPC contract in Russia and other contracts with the Mongolian company Petro Matad. It was hit by a scandal recently when its former president Wang Tianpu was jailed for embezzling state properties and accepting bribes during his tenure. State-owned China National Petroleum Corporation (CNPC) is the nation’s biggest integrated energy enterprise. Besides oil and gas, the company plans to involve itself more deeply in the renewable energy sector to tackle the issue of environmental protection and to meet China’s growing needs as a leading member of the Paris Climate Accord. Toyota Motor is the world’s largest automotive maker and a leader in the hybrid electric car sector. It had sold more than 6 million units of its widely used Prius car by January 2017. Besides Toyota, other brands in the stable include Daihatsu, Ranz, Hino, and Lexus. Volkswagen is German for “people’s car”. The company was founded in 1937 by the German Labour Front under Adolf Hitler to make an affordable car for the masses, unlike luxury vehicles. Today, the company’s main markets are Germany and China. The Volkswagen Group is currently the world’s biggest automaker and controls top brands such as Skoda, MAN, Scania, Bugatti, Bentley, Lamborghini, SEAT, and Audi. Royal Dutch Shell, widely referred to as Shell, is among the six “supermajors” in the oil and gas industry. This company is involved in exploration, production, refining, marketing, distribution, power general, petrochemicals, and trading as well as in renewable energy fields like wind and biofuels. Shell produces around 3.7 million barrels of oil per day and runs business in more than 70 nations. It currently has the highest market cap on the London Stock Exchange and is also traded on the New York Stock Exchange. Berkshire Hathway has gone beyond depending on Warren Buffett’s financial acumen to make profits. Today, about 75% of its revenue comes from its non-financial businesses and the enterprise has become a conglomerate of numerous companies including railroad behemoth Burlington Northern, underwear manufacturer Fruit of the Loom, and car insurance firm Geico. Berkshire Hathway has its headquarters in Omaha, Nebraska and was founded in 1889. 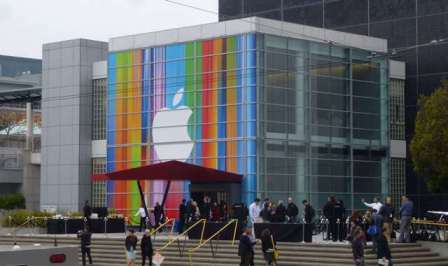 Apple is currently the world’s most profitable publicly traded company. In the past decade, its sales have been driven by the popular iPod music player and the iPhone. However, of late, sales of the Apple Watch and iPad have gone down and the company relies heavily on upgraded phone models. It is exploring new opportunities in software and automobiles. Apple is based in Cupertino, California and was founded in 1977 by Steve Jobs, Ronald Wayne, and Steve Wozniak.